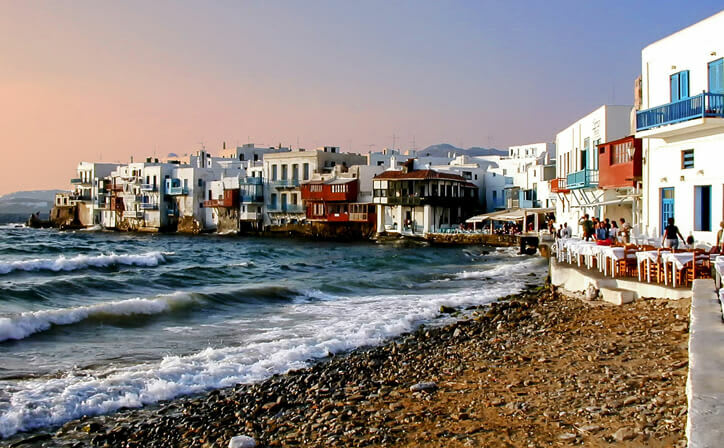 Four day tour to Mykonos, Greece. Once you arrive Athens, Board your ferry from the port and reach Mykonos. Our freindly staff will transfer you to hotel. Checkin & relax, rest of the day is free for leisure. Overnight stay in Mykons. Enjoy breakfast at the hotel. 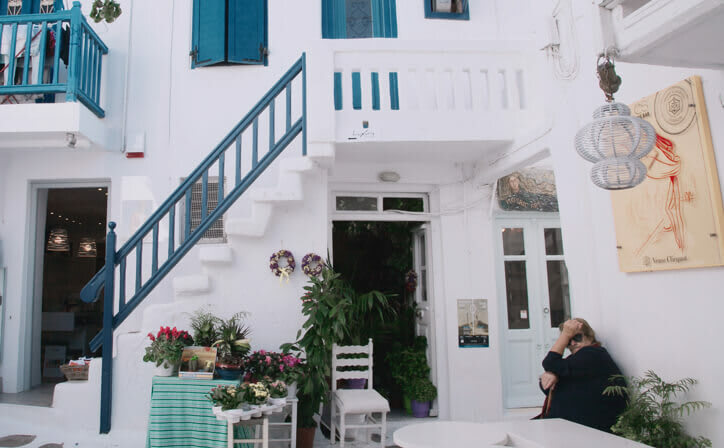 Very popular island, with splendid beach coves, quaint narrow streets laced with whitewashed houses with balconies where you can meet artists and jetsetters alike. Windmills give an extra romantic touch to his lovely island. 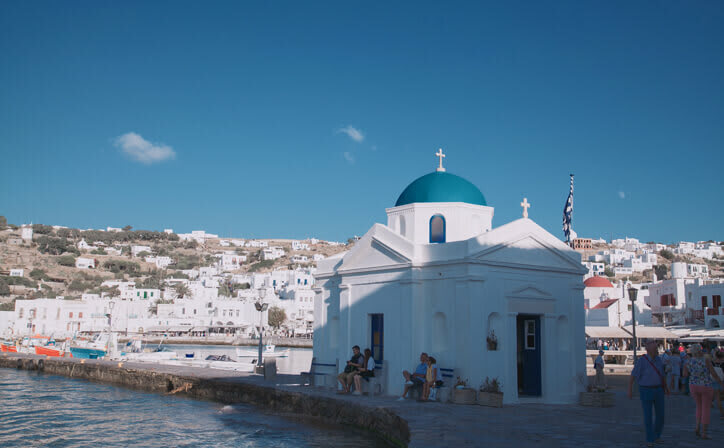 Lots of air tavernas, offering an array of Greek delicacies.Nothing can detract from the beauty of its landscape, its photogenic churches and its sandy beaches. It is truly an island of Paradise. Overnight stay in Mykonos. After breakfast enjoy our Half Day City and Island Tour. 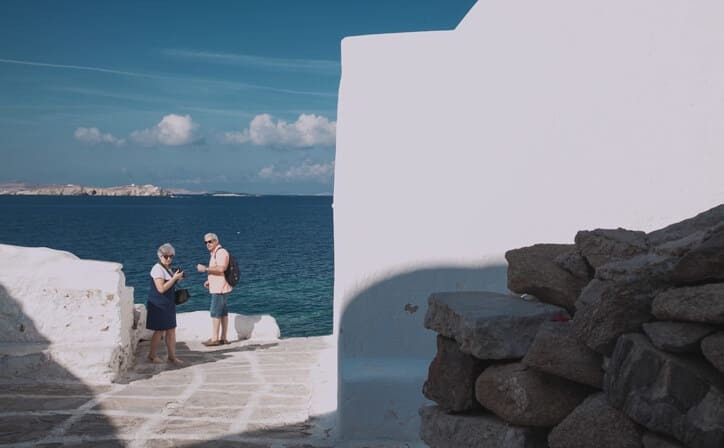 Discover the highlights of Mykonos on a comfortable city walk to the unique sites and on a bus tour that takes you all over the island to the beautiful bays and beaches as well as to the traditional village of Ano Mera – packed with a lot’s of information about the culture, history and places to go! Mykonos is the great glamour island of Greece and happily flaunts its sizzling St-Tropez-meets-Ibiza style and party-hard reputation. Mykonos is also the jumping-off point for the archaeological site of the nearby island of Delos. 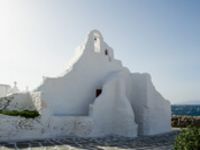 Mykonos’ most famous church, the whitewashed, rock-like Panagia Paraportiani, comprises four small chapels – plus another on an upper storey reached by an exterior staircase. It’s usually locked but the fabulously photogenic whitewashed exterior is the drawcard. 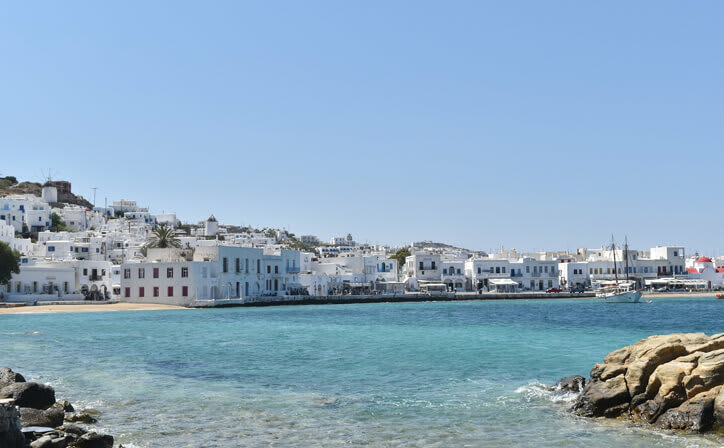 Many people flock to Mykonos for two reasons: beaches and parties. A trip to the southern coast and Paradise Beach — Mykonos' original nudist beach — will kill two birds with one stone. Soft sands, azure seas and a rowdy atmosphere have made Paradise one of the most popular places on the island. 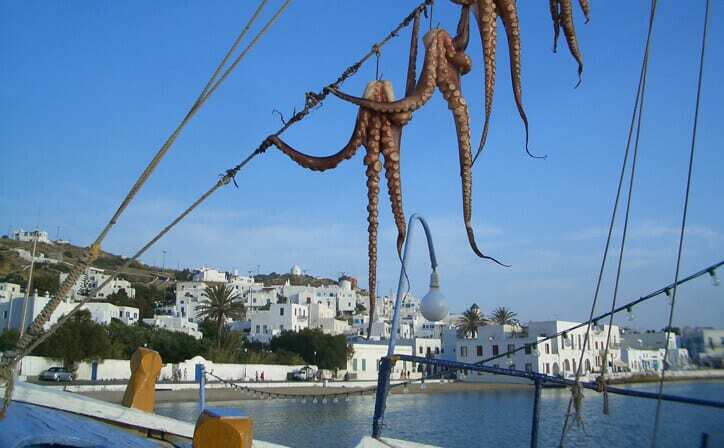 The best times to visit Mykonos are between March and May and from September to November. Weather during these spring and fall months is agreeable and sunshine is pretty much a guarantee. Not to mention, crowds are thinner and hotel and airfare deals are easier to come by than in summer.